Assam down town University (AdtU) is one of the North Eastern leading university offering its students a unique amalgamation of professional and academic excellence. AdtU has coupled the experience of top industry leaders and renowned academicians and fosters a worldly approach. AdtU the largest educational group based in Assam, has on its rolls 4000+ students and more than 300+ faculty members. The State-of-the-art campus in Guwahati located on 80 acres of land. Responding to the urgent and strong need of bring quality education to North Eastern Region of India at affordable cost. Down Town Charity Trust established a multi-disciplinary university in the year 2010. Assam down town University is located at Panikhaiti, Chandapur in the Assam state capital region, 12 km away from Dispur. Shri Wagheshwar Gramvikas Pratishtan, Mandvagan Pharata was established as an Experimental & Pioneer Institute in the field of rural Education. Shri Wagheshwar Gramvikas Pratishtan is a organization that has been providing services and solutions to problems in rural communities, with the objective of making them self-reliant and sustainable. Presently we offer B.Pharm course under the name of Loknete Shri Dadapatil Pharate College of Pharmacy in the rural area with the aim of imparting value based education with potential of self employment. P.K. University has been established keeping in view the foregoing are growing emphasis on global competitiveness, the need to bridge the gap between theory and practice and the growing demand for highly skilled personnel in the frontier areas of management, engineering and technology, medicine, architecture, Information Technology and Computing, media and Communication, films and television, healthcare, insurance, bio-sciences, fashion, low, hospitality and tourism and other fields of education, the Sonal Educational Society proposes to establish as University in Shivpuri (M.P) entitled P.K. University encompassing all the major disciplines the majority of the courses will be innovative, practice oriented, flexible, modular and ensure that the students acquire the necessary skills and knowledge for successful careers. The B. S. Anangpuria Institute of Pharmacy was established in the pleasant and peaceful environs of Faridabad. Situated a lush, verdant 41 acre campus, the college began by offering a Degree Course in 2003 and then Diploma course started in 2005. Degree course is affiliated to Pt. P. B. D. Sharma University of Health Sciences, Rohtak whereas the Diploma is affiliated to State Board of Technical Education, Haryana. 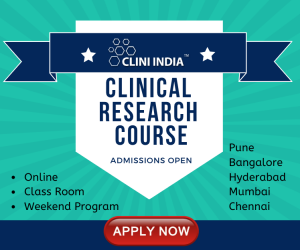 Both the courses are duly approved by A.I.C.T.E., Pharmacy Council of India, Delhi & Govt. of Haryana. Application are invited from the qualified and interested candidate on plain paper along with attested copies of relevant certificate on the following address or e-mail for the recruitment at proposed new Nagpur College Of Pharmacy. At- Past- Survey No. 245. Wanadongari, Hingna Road, Nagpur, Maharashtra 441110 for academic year 2019-2020 within 07 days the date of advertisement. Shobhaben Pratapbhai Patel School of Pharmacy & Technology Management (SPPSPTM), established under the auspices of SVKM’S NMIMS in 2006 is a pharmacy school which offers Doctoral, Postgraduate, Graduate and Diploma Programs in Pharmaceutical Sciences. It pioneers in postgraduate and graduate courses integrated with Healthcare Management. 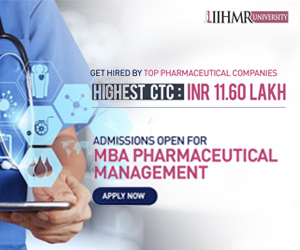 The curricula designed by the school nurtures and develops young minds into responsible Pharma professionals who will contribute ethically to the future of Pharma Industry, Hospitals, Community, Society and Health-care system at large.